FHA loan options in 2019 offer incredible alternatives for potential home buyers and existing homeowners. Workable terms and flexible payments cater to a variety of loan needs. Traditional fixed and adjustable rate FHA mortgages for homes continue to exist, but special opportunities which include energy efficient incentives, graduated payments, and reverse mortgages are available this year, as well. While we provide an overview of available FHA loan products and qualification guidelines below, a personalized assessment is the best way to find the loan product that will work best for you and your home owning situation. Learn about the difference between FHA and conventional loan options here. FICO® score of at least 580 needs a 3.5% down payment. FICO® score between 500 and 579 needs a 10% down payment. MIP (Mortgage Insurance Premium ) required. The loan must be for the borrower’s primary residence. Regular income and proof of employment from the borrower is required. In other words, borrowers holding a FICO® credit score at or above 580 credit may qualify for an FHA home loan. These mortgages are issued and insured by the Federal Housing Administration. The FHA allows down payments to be as low as 3.5% and will qualify borrowers with reduced FICO® credit scores. Due to this, FHA financing is sought after by many first-time homebuyers. Plus, borrowers with bankruptcy or foreclosure history may be able to receive an FHA-backed mortgage, when certain qualifications are met. FHA loans are different from other types of home loans. The difference is that they are insured by the federal government, through The Federal Housing Administration (FHA). Fixed Rate FHA Loan – Since it requires a relatively small down payment, an FHA loan makes sense for a borrower who hasn’t saved up a large down payment, but wants to buy a home. A fixed mortgage rate allows the buyer to budget monthly expenses since the payment remains the same over the life of the loan. FHA Adjustable Rate Mortgage (ARM) – An FHA adjustable rate mortgage allows new homeowners to “fix” or set the mortgage rate for five years, before the rate can fluctuate, at a maximum of 2 percent each year, based on market factors. This home loan allows you to utilize lower rates at the onset of your mortgage. FHA Loans for Condominiums – An FHA condominium loan is similar to the Fixed Rate FHA Loan, but allows the home buyer to purchase a condo or condominium, rather than a standard single family residence. Graduated Payment Mortgage –This type of FHA loan is specifically for home buyers with low to moderate income. The graduated payment allows the buyers to start with smaller loan payment amounts, with future increases based on income increasing in future years. 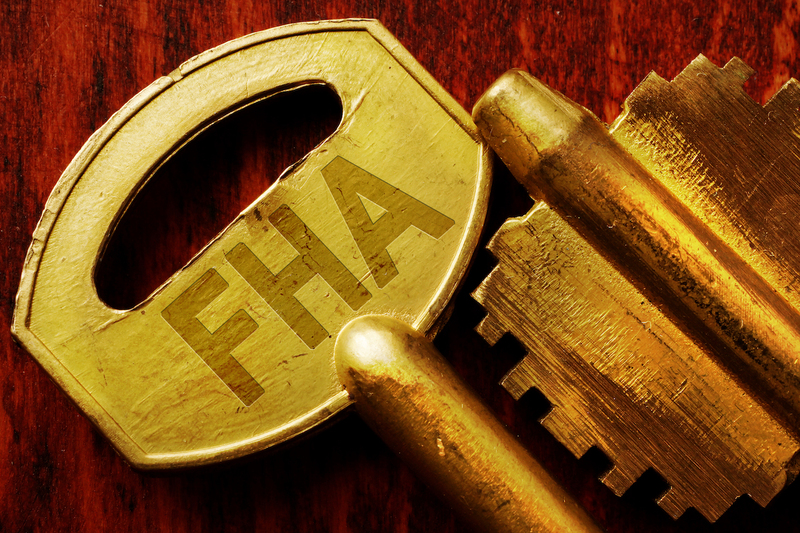 Were you aware that FHA home loans are offered to existing homeowners? FHA Secure Refinance Loan – Since interest rate increases can cause financial hardship, an FHA Secure refinance loan assists current and delinquent existing homeowners by providing options to refinance and avoid foreclosure. FHA Reverse Mortgage – Designated for homeowners age 62 years and older, the FHA reverse mortgage allows homeowners to convert the current home equity into a line of credit. Eligible criteria and limits change yearly. This is often an option when a fixed income does not provide for current needs. Energy Efficient Mortgage –The FHA Energy Efficient Mortgage assists homeowners by allowing them to make changes which reduce monthly utility bills, allowing more income to be used for mortgage payments. Available on new construction and existing homes, a home energy assessment must be done prior to loan approval. We offer many types of home mortgages, well beyond FHA loans, and would love to help you find a home loan that addresses your individual needs and circumstances. Please call for more details on how we can assist you in purchasing your home.